First, create the module in the modules area of your site admin (example; create a photo album and add some photos to that album). 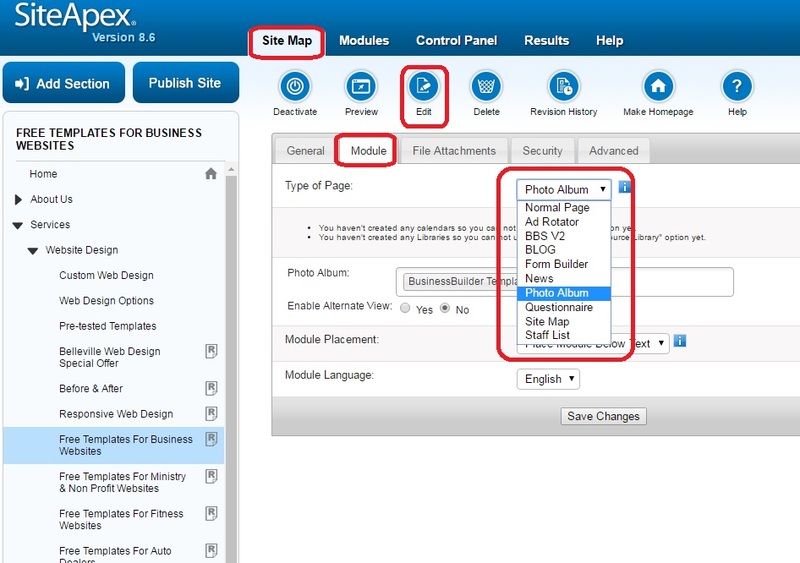 In the SiteMap, add a page which will contain the module or select the page you want to add the module to and edit. When adding or editing pages, there are a number of tabs at the top of the editor box. The second tab is called "module". Click on it. From the "Type of Page" dropdown, select the module you would like to add to the page and press Submit. Scroll to the bottom and click submit to save the changes, then publish the site to have the change go live.